This is a bold way to show people your best side. 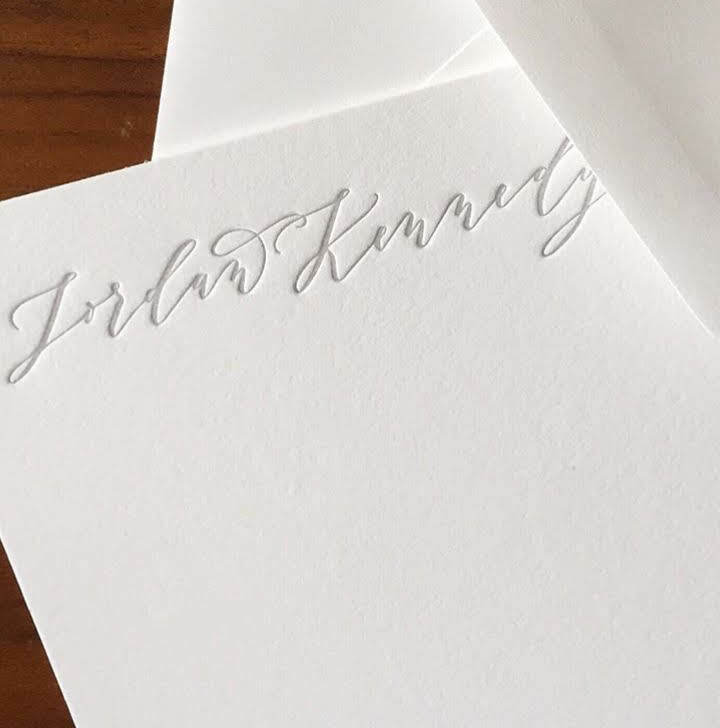 Not only is getting a hand written note a treat, but a personalized letterpressed notecard sets you apart. Standard size offering fits size A6 or A7 envelopes, but we can accommodate any size notecard. Edge painting available when thicker paper is chosen. Return address printing on envelopes is available to complete the suite!